A perfect balance of elegance and comfort, Shanahan’s brings together a creative, and sumptuous menu, excellent service, and the welcoming hospitality of the Irish. Featuring traditional steak in Dublin, the freshest of Ireland’s native seafood, surf and turf in Dublin, hearty side dishes, exquisite pastries, and fine wines. Shanahan’s offers premier dining with the highest standards of service within a relaxed atmosphere ensuring the patron feels at home. 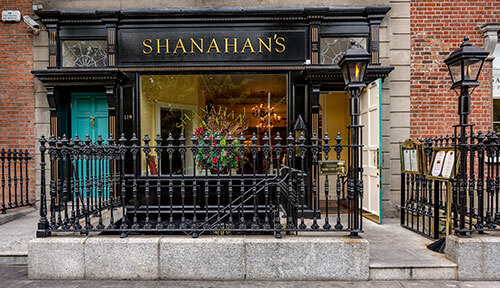 An American style steakhouse in Dublin, Shanahan’s is an enticing fusion of the best in both American and Irish culture and history. In the restaurant’s downstairs bar, aptly named ‘The Oval Office’, original historical documents and mementoes from each of America’s Presidents of Irish heritage are on display. 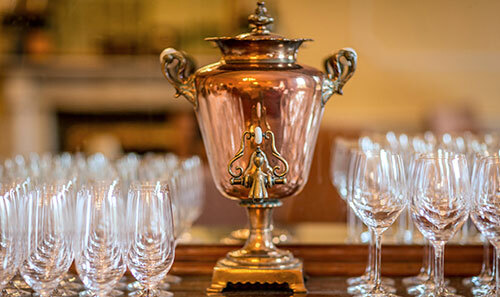 In the dining and private rooms, patrons can experience the beauty of Irish workmanship and craft, both through the building’s Georgian heritage, and in the modern touches to its interior. 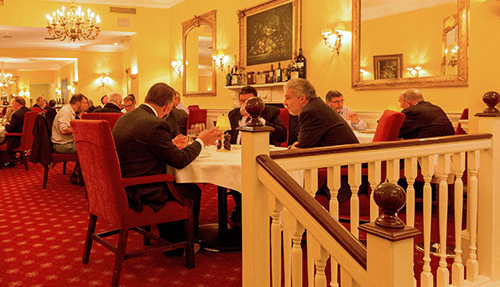 The success of Shanahan’s on the Green as an American style steak house in Dublin is a reflection of its founder, John M. Shanahan, an American entrepreneur who maintains dual citizenship in Ireland and the United States. Mr. Shanahan has been long recognized for his creative and innovative business philosophy bringing together underlying product development, marketing and service. At Shanahan’s on the Green, his pride in his Irish heritage and his love for the unique warmth of the Irish spirit have been combined with his American upbringing, and his skill as an American entrepreneur. Mr. Shanahan has always credited the source of his creative spirit to his Irish heritage. At Shanahan’s Dublin steakhouse, he has brought together his love of cooking and gourmet fare, with his passion for Ireland. Patrons experience the pleasures of American fine dining with the flair of the Irish, transporting them to the best of ‘home’ irrespective of what side of the Atlantic they come from.